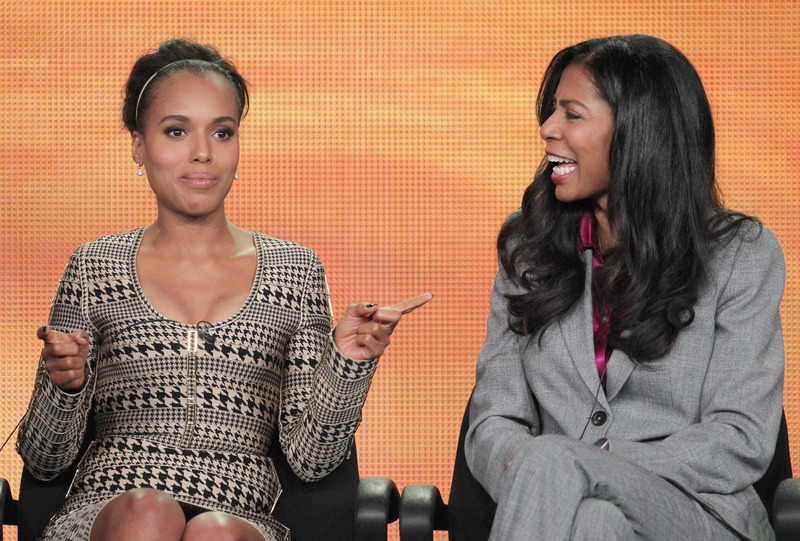 'Scandal' Lost Its Groove, Can ABC's Political Drama Recover? Well, it's official: Scandal’s mojo is gone. The April 3 episode drew 8.8 million viewers, a disappointing showing for a series that’s averaged between nine and 10 million since its April 2012 inception. The sudden ratings plummet should signal panic for the series’ show runners, especially since the plunge is warranted. Scandal's plot is shakier than ever. Character development is lacking. The urgency that once encouraged gladiators to rush home to watch in real-time is dissipating. Season three of ABC's infectious political thriller Scandal offers a tumultuous mixture of unexpected deaths, grabs for power and abusive gender dynamics. All of these elements have been critical to Scandal's success, but something's array in the formula, and viewers are beginning to notice. In the beginning, Scandal was electrifyingly addicting. At the center of the plot is Olivia Pope, leader of crisis-management firm Pope & Associates and a mirage of real-life fixer Judy Smith. Pope is brilliant, intuitive, and in complete command of an intimidating wardrobe. When Quinn was still the primary narrator of the series, Pope was committed to wearing the white hat of justice in an attempt to preserve the sanctity of American democracy. She refused to fix the problems of the guilty, which was often in conflict with her adulterous relationship with Fitzgerald Grant, the commander-in-chief. Their complex romance was both perplexing and satisfying with references to Sally Hemmings to quell the Thomas Jefferson paranoia hovering over their union. Yet, their relationship wasn’t the center of the plot. It is now. Pope has left Pope & Associates to the devices of her team as she attempts to run the re-election campaign of her lover/the President of the United States. Pushing Pope into the White House has jarred the plot in an unexpected way. The procedural element of the show has been vanquished. Instead of using weekly cases to anchor the plot, every episode revolves around what’s happening on 1600 Pennsylvania Avenue. The gladiators in suits spend their shifts investigating vice presidential candidates and B613, a top-secret organization. All roads literally lead to Fitz this season, and that keeps the plot from evolving past him and his presidential woes. The once worth-cheering-for relationship between Pope and Fitz is also muddied. Pope’s agency is often co-opted by her allegiance to a man whose loyalty is to power. That seems to be a theme percolating among all of the men in Pope's complicated life. Her father, Rowan, is a former B613 leader turned rambling patriarch who dangles his daughter in his grasp. These struggles for political power culminate in Jake, Rowan’s replacement and Pope's fake boyfriend, throwing her across a room. Olivia Pope's world is populated by abusive monsters. Each one is springing from underneath the bed and using Pope as their pawns. The audience is left with a vulnerable gladiator without a sword or a net to break her fall as she hits the wall and crumbles. De-centering the protagonist has also enabled Scandal to effectively unravel itself. Unexpected twists in the plot drove the series to the top of Thursday’s ratings pool. It wasn’t far-fetched for the Vice President’s Chief of Staff to arrange the death of a presidential aide or for a team of political masterminds to rig a presidential election. However, attempting to maintain the pace of the show has caused a serious lapse in character development. Specific episodes used to be devoted to developing characters via flashbacks. There was the haunting Seven Fifty-Two episode, which specifically focused on Huck while simultaneously introducing B613 into the plot. Harrison Wright, a charming and deceptive member of Pope & Associates hasn’t been given that treatment. The audience knows Pope saved him from serving significant time for insider trading, but we have no idea how he became immersed in that world or how Pope found him. So, Harrison's sudden plot line is confusing, particularly since we still don't know him, like we do Quinn, Abby and Huck. Scandal is in a slump that could be attributed to the third-season blues, an inconceivable fast-pace, lack of character development or all three. However, Scandal has something most other series don’t –a devoted audience who’s willing to stick through the tumult. Maximizing this audience will be essential as Scandal rediscovers its long-lost purpose, whatever that may be.